Looking for Artists and Crafters! This is a repeat post, but i am always looking for a few artists and crafters who are interested in being featured. 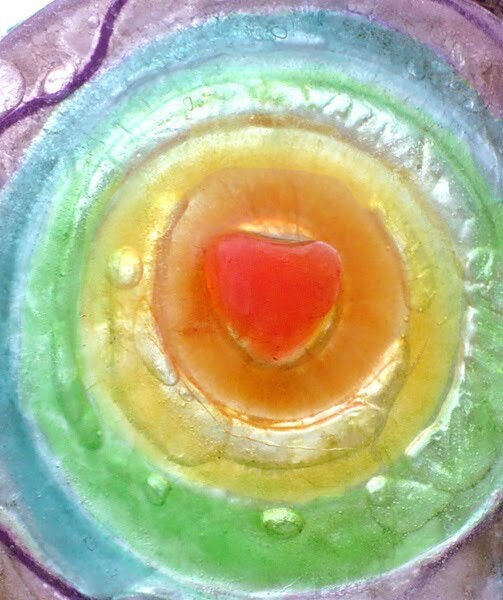 i'd really like to start having a featured artist, once or twice a month on my blog. It helps me to keep my blog active, even when i am not creating much. There are just so many amazing crafters out there, and i would love to help you promote your business as well as share the fabulous products with my readers. Giveaway over at Dragonfly's Hollow! 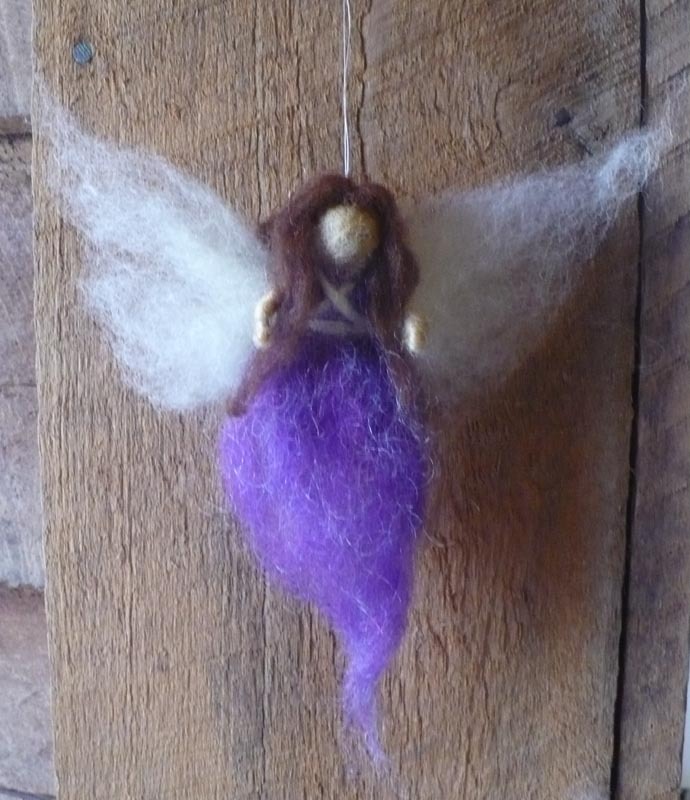 So ya'all remember last year when i was lucky enough to win Sage this beautiful Dragonfly's Hollow doll? 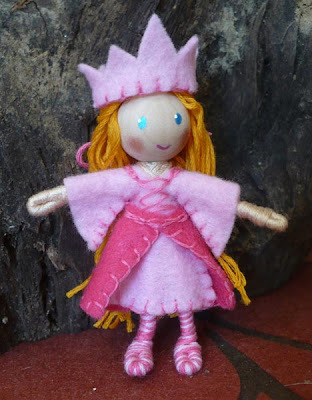 It was the first time i had ever entered one of her contests, and was completely shocked to have one such a fabulous doll. It truly is an amazing piece of art, and Sage loves her dearly. Well guess what? DFH is having another giveaway...and this time your chance of winning isn't based on luck, it's based on your creativity! Dragonfly's Hollow is looking for a slogan and they are asking for your help. 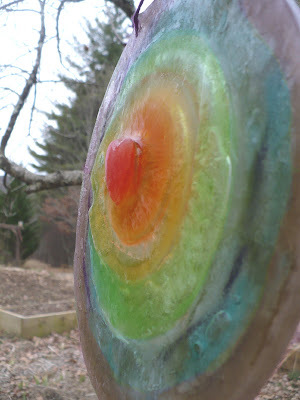 TO ENTER...head over to Dragonfly's Hollow and click the blog link. So what are you waiting for?? Go enter! Good Luck! A few Princess Fairy Dolls. i just finished up a few new bendy dolls. 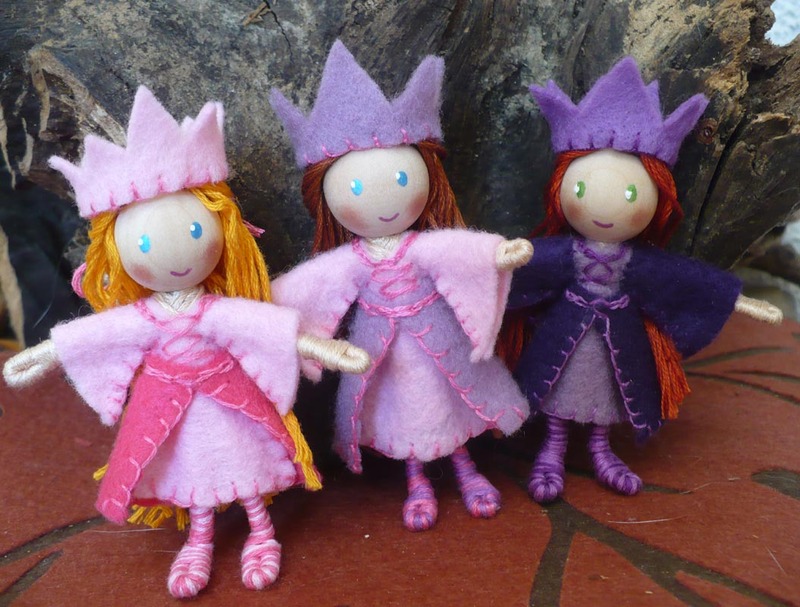 Three little princesses. 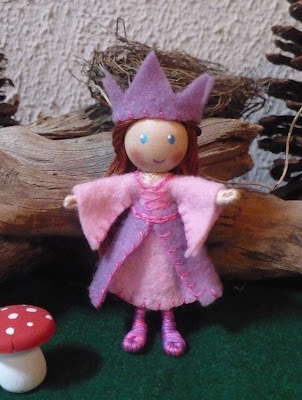 Pink and Purple Princess, light brown/auburn hair blue eyes. Red-headed Princess in purple with green eyes. Pink Princess with Blond Hair and Blue eyes. Any of the princesses i listed above are available as a set with the Pegasus for $25. 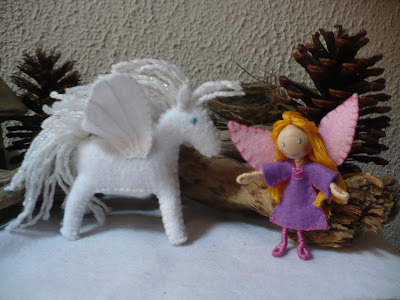 The fairy in this picture is sold, but i wanted to show the size of the dolls with the Pegasus. What other types of bendy dolls would you like to see next? i'm thinking i need to make a few more boys...kings, wizards, and a few knight/horse sets. 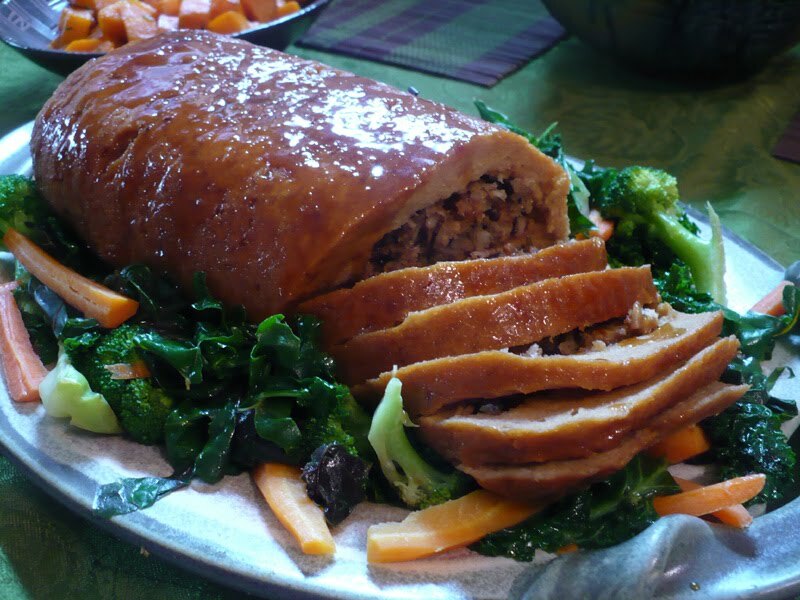 As a vegetarian family, seitan (pronouced say-tan) is a staple food for us. We eat it at least once a week. Seitan is a food made from the gluten of wheat and is sometimes called Wheat-meat. It's an alternative to soy-based meat substitutes like tofu and tempeh. It is very versatile and can be used in many recipes as a substitute for chicken or beef. 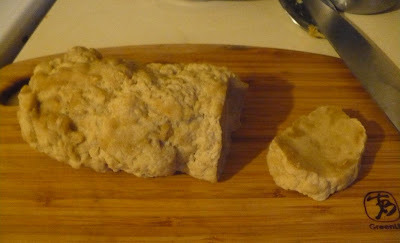 Seitan can be purchased pre-made from Heathfood and Natural food stores, but is very easy to make at home. i get a lot of inquires on how to make it, so i thought i would share my basic recipe/directions. 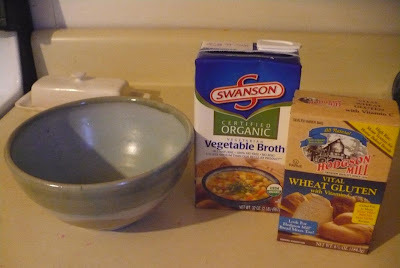 There are many ways to change this up, by adding seasoning or different types of broth to the powdered wheat gluten. This is the basic recipe i used most often. 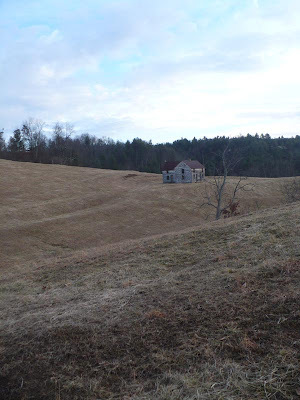 What you need for basic seitan is a box of Hodgson Mill vital wheat gluten. i find this at Kroger next to the bread flour. You also need your choice of veggie broth. i like the Swanson vegetarian vegetable broth. It has a light oniony flavor, similar to a chicken broth. i prefer this over the tomato based broths, but you can use what ever you like. 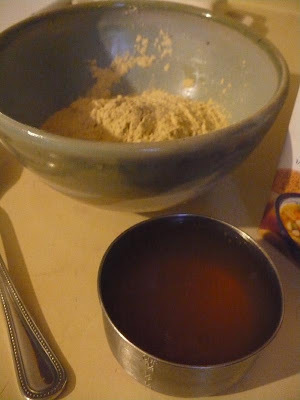 Open your box of vital wheat gluten and dump it in a bowl. Add just under 1 cup of broth of choice. i don't have an exact measurement for this. This is a 1 cup, and you can see it's probably 7/8 full. It doesn't have to be exact, but you'll notice if you add too much broth your seitan will be very soft, if you don't use enough it will be a bit tough and chewy. The more you make it, the more you'll be able to adjust the broth to your desired texture. Add broth and mix. After you stir it for a min. 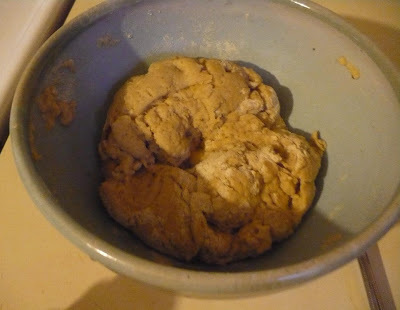 or two the texture will be similar to play-dough. If the seitan is really sticky, and alot of it is stuck to the side of the bowl...add about TBSP of broth and keep mixing. When properly mixed, the seitan will stick to itself, but not the bowl. Now knead it by hand for just a few minutes. 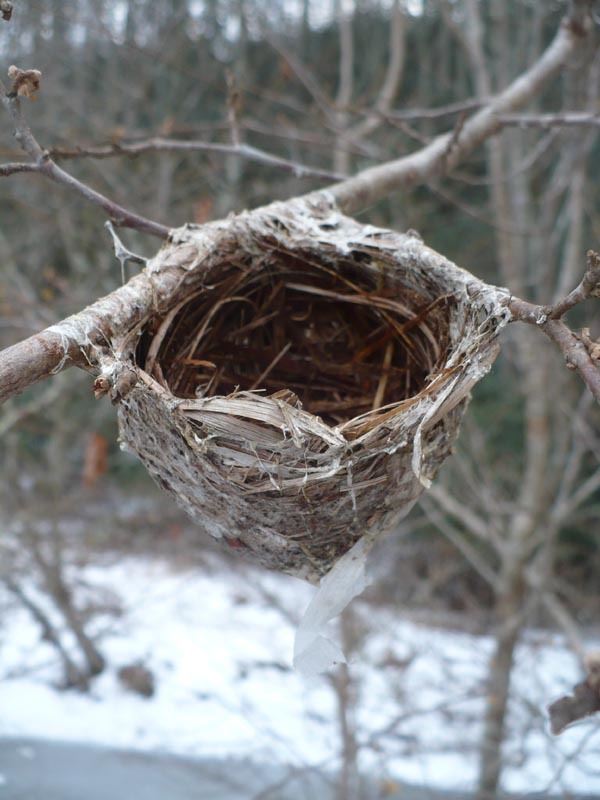 It should be soft and elasticy. 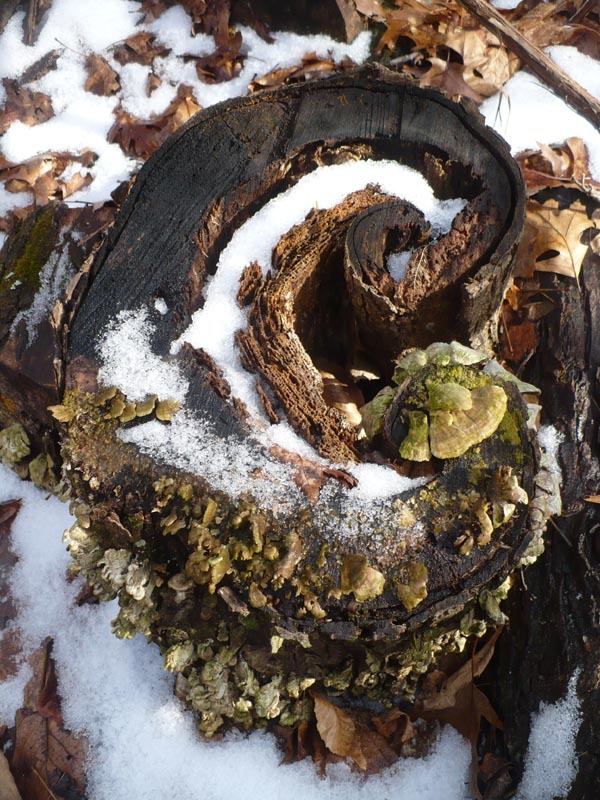 Form it into a log, and let it rest a few minutes. 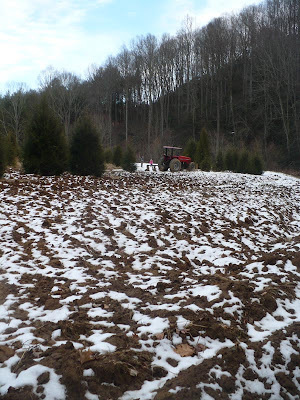 While the seitan is resting. You'll want to heat up the leftover broth in a large pot. Using a sharp knife, slice off chunks of the seitan. i like to make them about 1/2-3/4" thick. They will grow in size once cooked, so i tend to cut them this size and then after they have cooked i slice them into strips or shred them or dice them. Start adding your sliced seitan to the broth, You want enough broth to fully cover all of your seitan and you may need to add a bit of water if you don't have enough broth. Cover the pot and bring to a simmer. 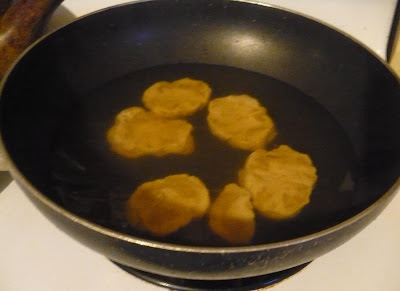 Allow the seitan to cook for around 1 hour. 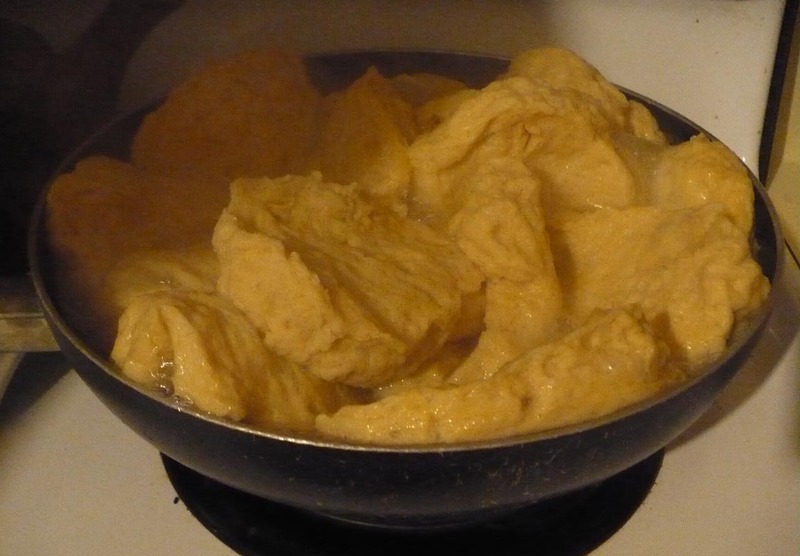 Now some folks prefer to let the seitan simmer and never bring it to an actual boil. i like to let it boil and 'puff'. Each method will create a different texture, so you can experiment with it and decide which method you prefer. If the setian has absorbed all the liquid you can add a bit more water or broth. Once it is done, remove from heat and let it cool. You now have a basic seitan and it is ready to use in your recipes. Some ways that we use it are in 'mock' chicken pot pies or casseroles, shredded BBQ's on buns, diced in soups, or cut in strips for stir fries etc. This is a family favorite, cornflake crusted seitan over udon noodles and saute'd vegetables. 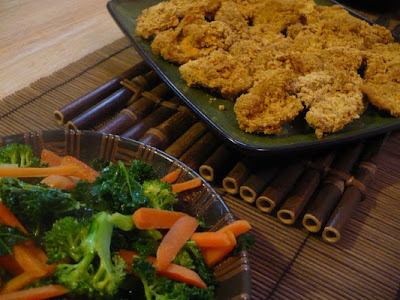 Seitan nuggets, breaded and baked. The kids love these dipped in catsup or bbq sauce. 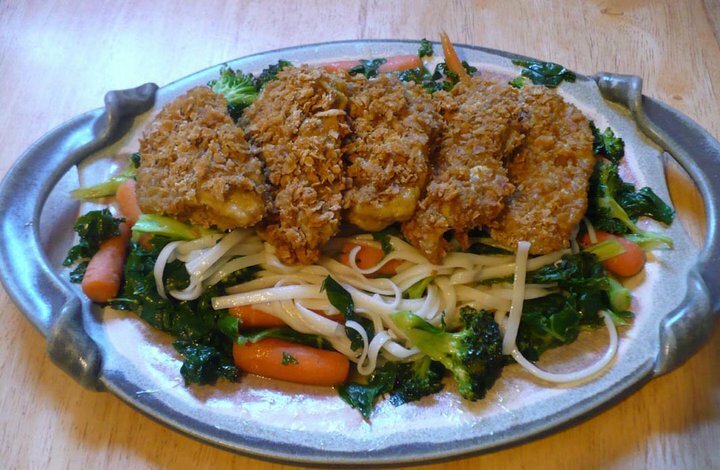 Once you've mastered making basic seitan, you can get really creative with it. This is a stuffed Seitan roast we had for Thanksgiving a few years ago. It was absolutely delicious! 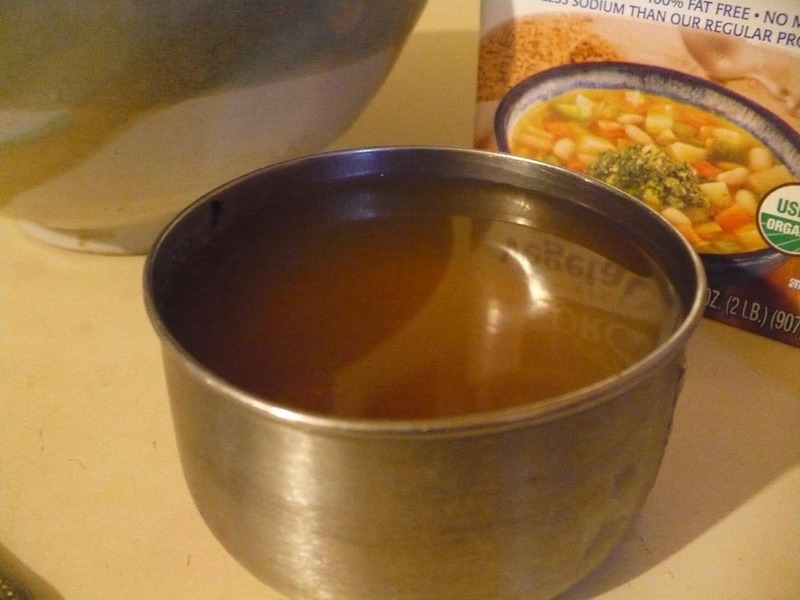 By changing the type of broth and seasoning used you can create different flavors, and by altering the amount of liquid or cooking style you can really change the texture. Seitan is high in protein and (depending on the type of broth you use) can contains no saturated fat or cholesterol. i'm going to try and post more recipes this year, including these that are pictured in this post. i'm thinking about trying to create/post a weekly meal plan, but i am not the most organized person...so there is no guarantee. :) i'm usually rather spontanious with creating meals...and don't like to plan ahead. If you have questions about the post, let me know in the comments and i'll do my best to get back with you. It's really easy to make, and like making bread...the more you make it the easier it becomes. Enjoy! Yesterday we got a 5:30 am phone call from the schools letting us know that school was canceled. When my boy heard the news he decided we had to have a Harry Potter party. :) Really, does one ever need an excuse for a HP party? 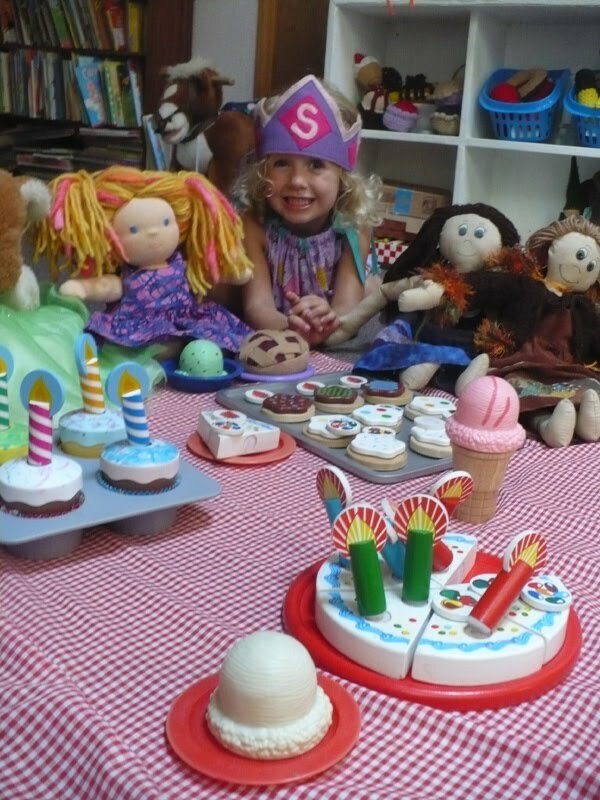 Because we were snowed in, we had to get creative with our party ideas and use things we had around the house. My boy went to work creating the decorations, putting up signs for each 'class room' and writing down a list of games we can play. 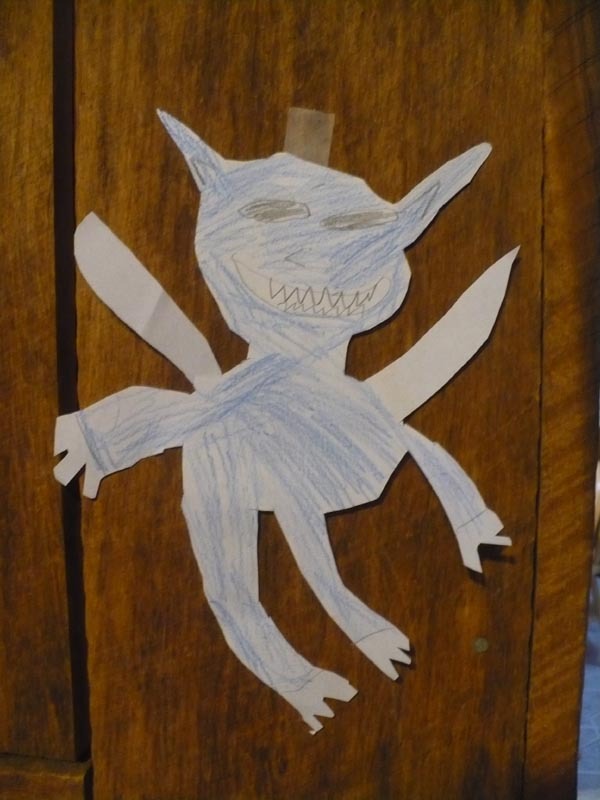 He made several Cornish pixies for the Pesky Pixie game. We threw crocheted playfoods at them and tried to hit them or knock them off the walls. 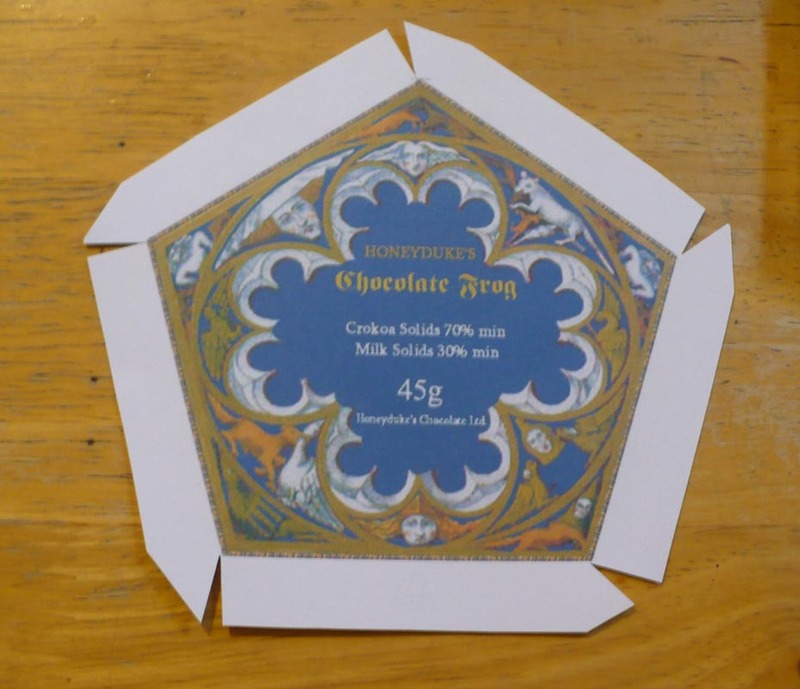 We earned 'wizard coins' for each game, that we could spend at Honeydukes at the end of our party. My son organized the whole thing. My job was to come up with some food. 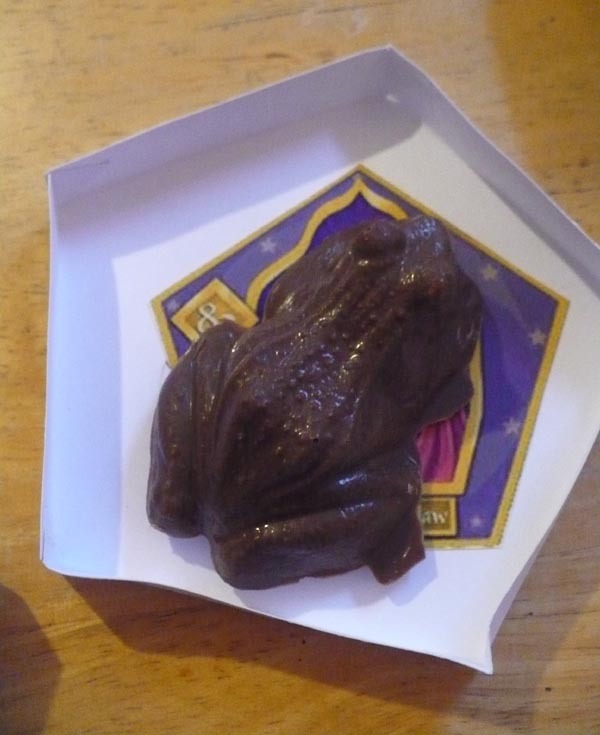 Of course, you can not have a Harry Potter Party without chocolate frogs. i made mine with a peanut butter centers because i only had a half a bag of chocolate chips to use. i've had these frog candy molds for several years, since our first Harry Potter Party 4 years ago. 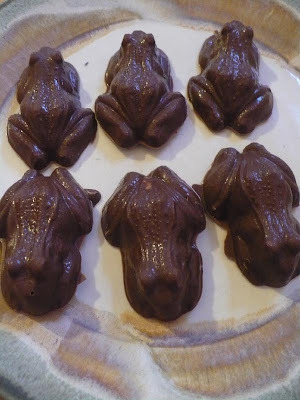 i'm not sure where i originally bought them, but you can find them here and some slightly different frog molds here. i looked around online for some printable for chocolate frog boxes. They were not easy to find, but i did find some! The files had to be converted, and the images re-sized and it all too a bit longer than i had planned....but the results were totally worth it! You can find the images here (top of box) and here (bottom of box). The box images didn't come with any kind of instructions for putting them together, so i had to improvise. When i cut out the boxes, i left tabs as shown in the first picture. Then i folded all the tabs in, and along the edges to make the sides of the box (image 2). Then to give the box it's domed shape, you crease from the center to each point (image 3). Then i just used a glue stick to put it all together, by applying a little glue on each of the tabs. The bottom of the box was done similar. When you cut it out, you have to add your own tabs and sides. These get folded up and glued, you do not have to make the center creases on this one because it stays flat. 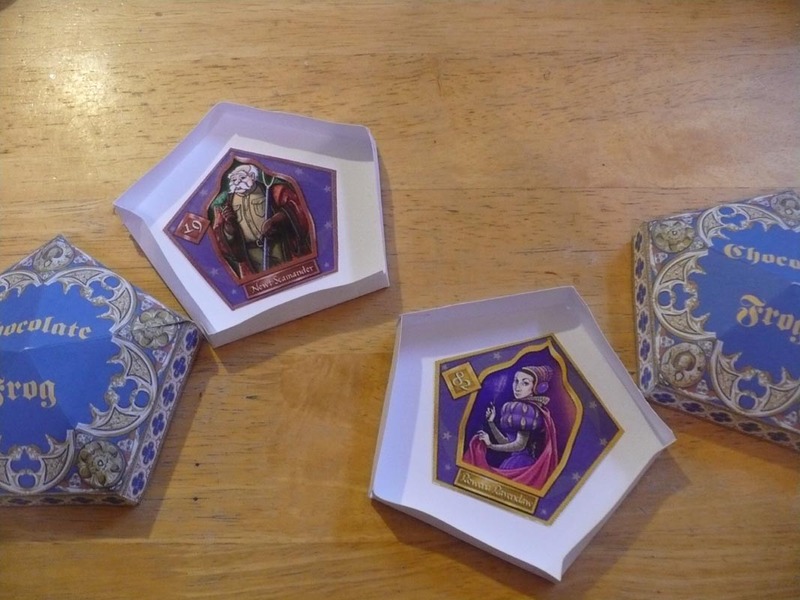 Now you just add a wizard card and a chocolate frog and your set! We found our wizard cards by exploring the HPL forum. They were not easy to find, and we've only been able to find a few to print up online. *update for those looking for Harry Potter wizard cards to print up for your party, we found a whole bunch on this site. We had fun coming up with them. You can find lots of creative HP themed recipes and ideas here. 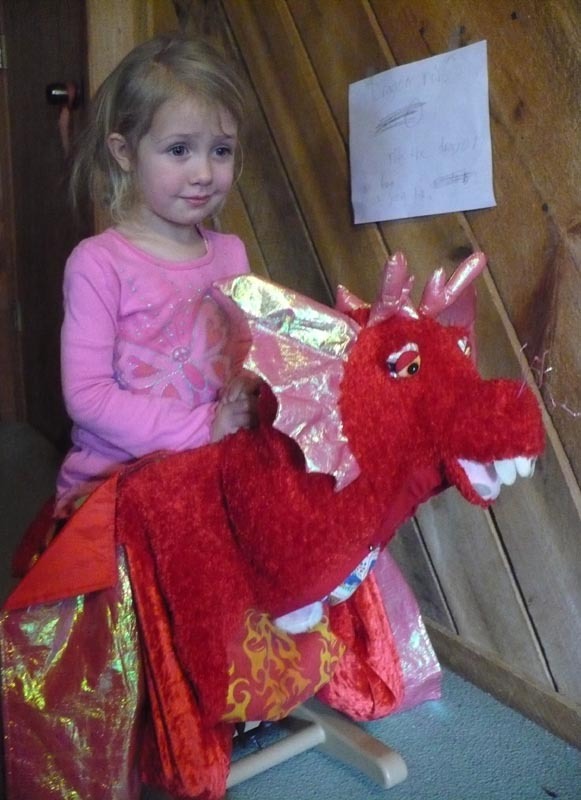 This is a dragon Halloween costume draped over Sage's rocking horse. :) There is a pillow shoved in it neck to hold it's head up. 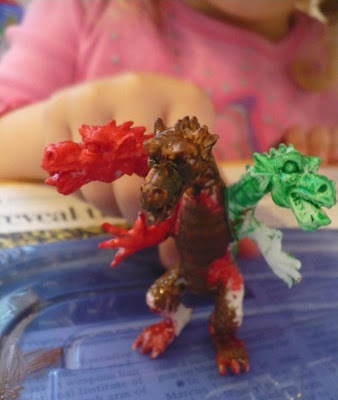 We also had a paint your own dragon craft from kits we already had on hand. Just seemed the perfect time to pull them out and use them. It really was a fun time for all! My husband even came in from work to play a few games and snack on some of the yummy treats. i'm super proud of my boy for putting this all together! 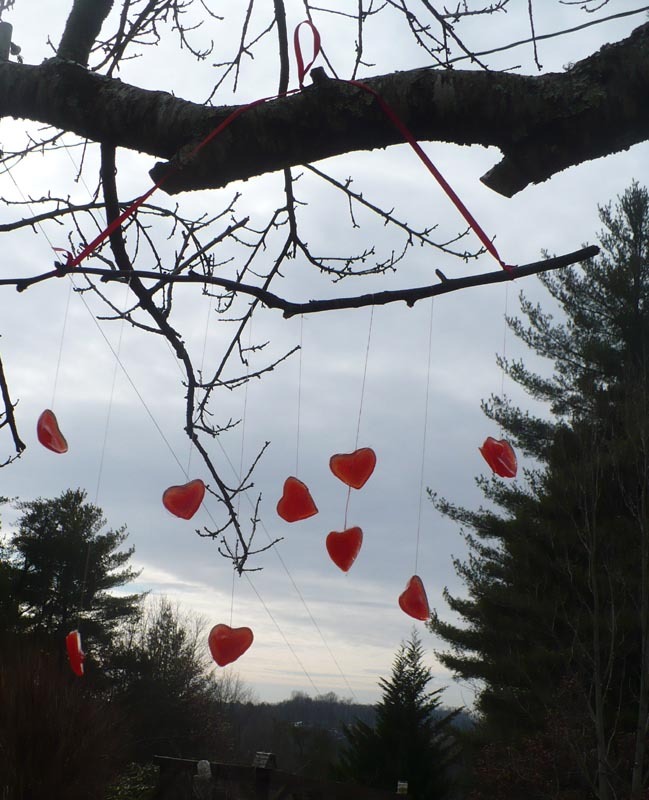 He really did a great job with the decorations and games! 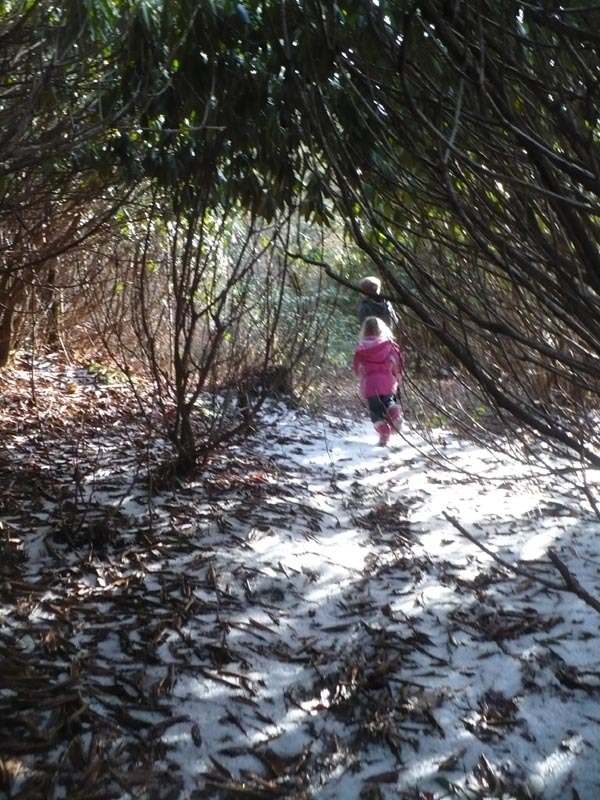 i hope everyone out there is enjoying their snow days as much as we do! Wordless Wednesday; Hearts, Rainbows and lots of ice. 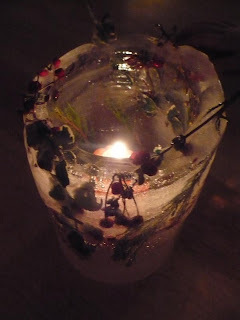 i recently came across a tutorial for these beautiful illuminated ice lanterns on one of my favorite blogs. 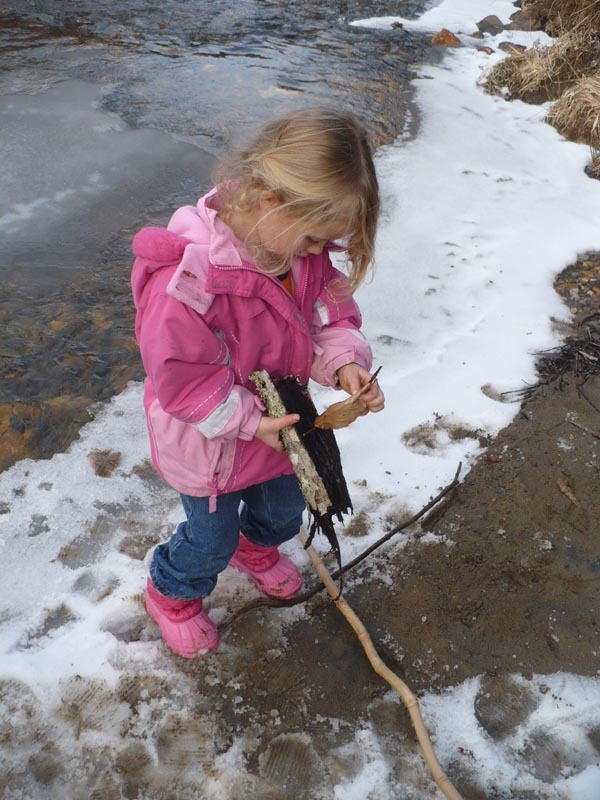 We immediately went out and gathered materials to make them. 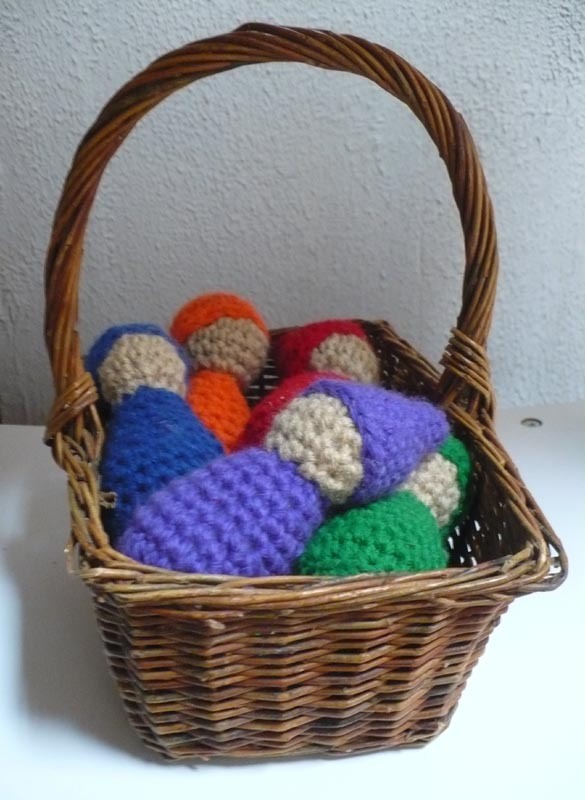 These are very easy to make, but you will need a bit of patience. To make the ice lanterns you need a plastic container for your lantern. We used large yogurt/cottage cheese containers. A tin can, or smaller container that fits inside the main container. 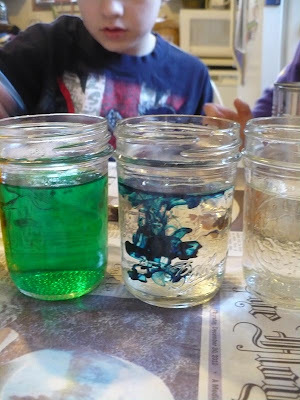 A bit of food coloring, water and a few rocks to put inside the tin can. 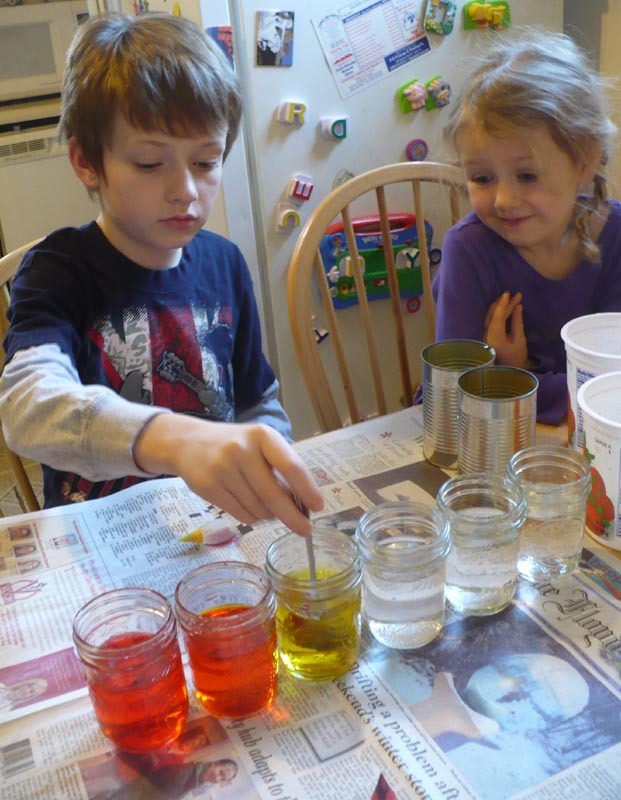 The first thing we did was mix our colors. 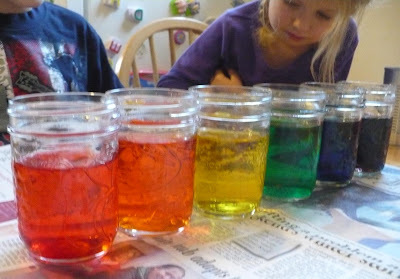 i filled 6 jelly jars with water and let the kids add the food coloring to make a rainbow. 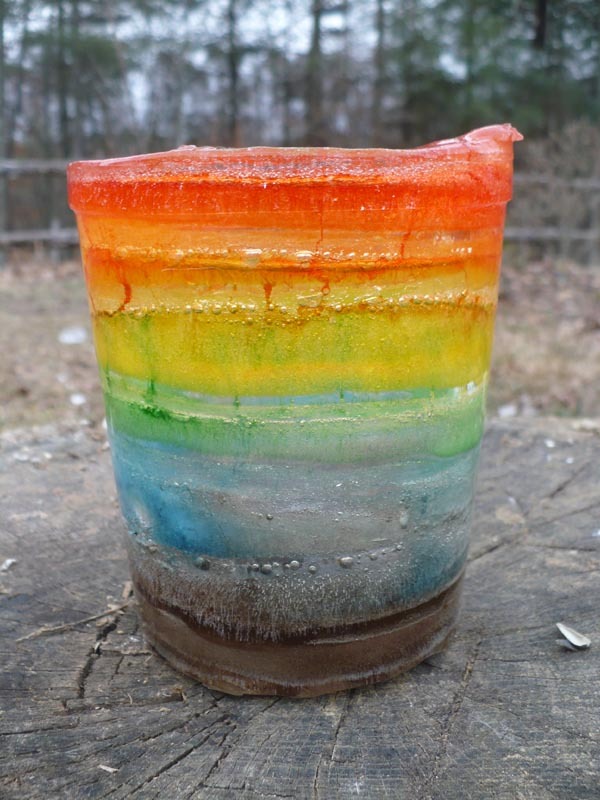 Technically, because you freeze these one layer at a time you do not have to mix all your colors at once. You can just use one jar/cup of water, and mix one color at a time. i couldn't resist making the complete rainbow all at once. 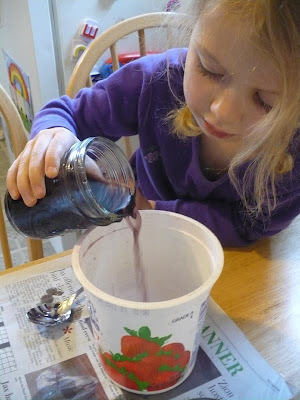 To start your lantern, pour a little purple in the bottom of container. i would say you only need about 1/4-1/2". This will be the floor of the lantern. 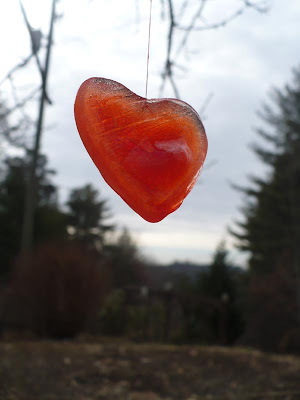 Place it in the freezer (or outside) and allow it to freeze completely. 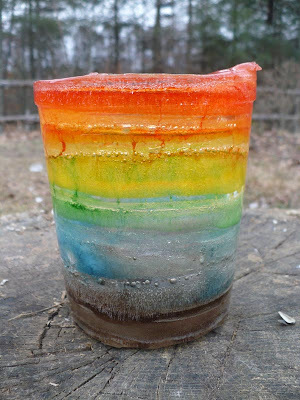 Once frozen you will place the tin can in the center on top of the ice, and place some rocks inside the can to keep it from moving around. Pour about around 1/2" of purple water around it. 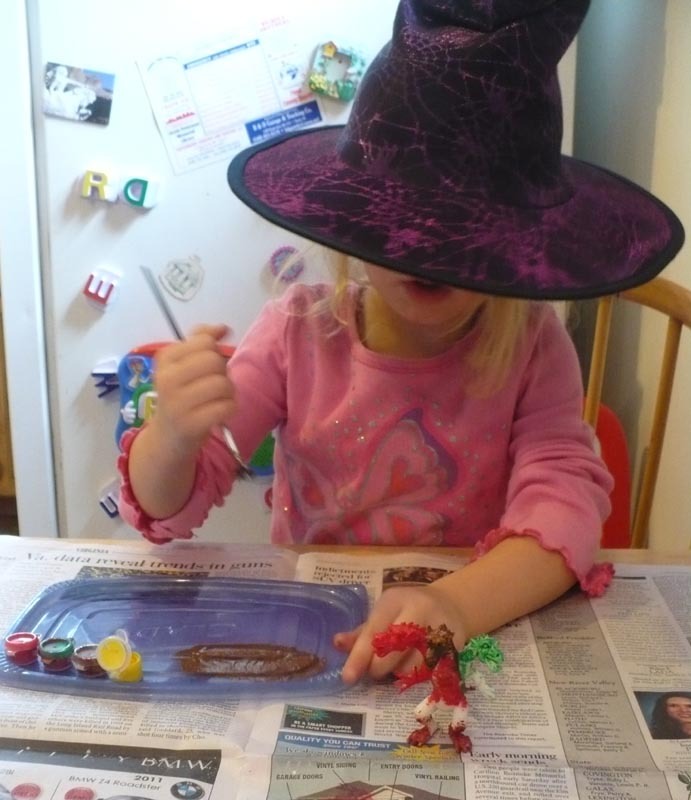 Once frozen, you will add the next color. We add around 3/4" to 1" for each color.You have to freeze each layer completely before adding the next color. This can take several hours. Once all of your colors are frozen, you can remove your lantern. First remove the rocks from inside of the can. Then pour some hot/boiling water inside the can. 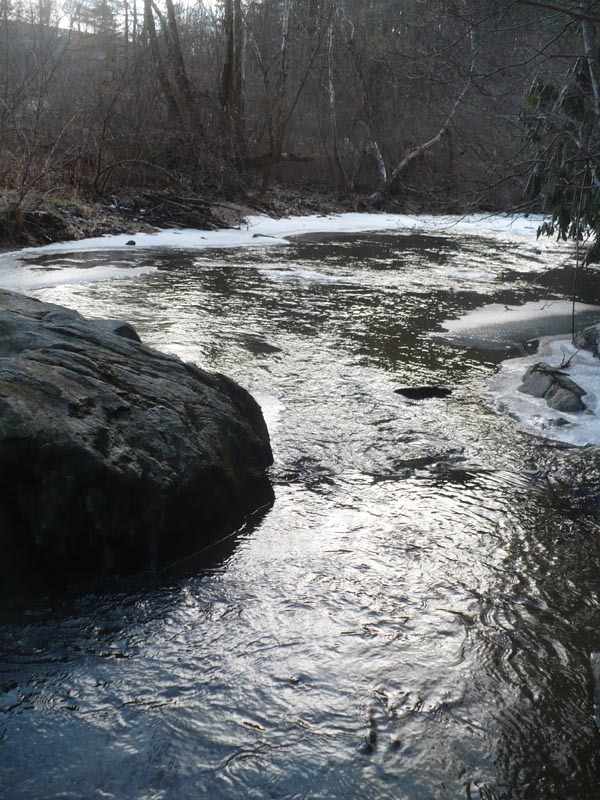 Let it set for a minute, so that the ice around the can begins to thaw a little and then gently work the can out. At this point, i like to put it back in the freezer for 10-15 min. to refreeze a bit. 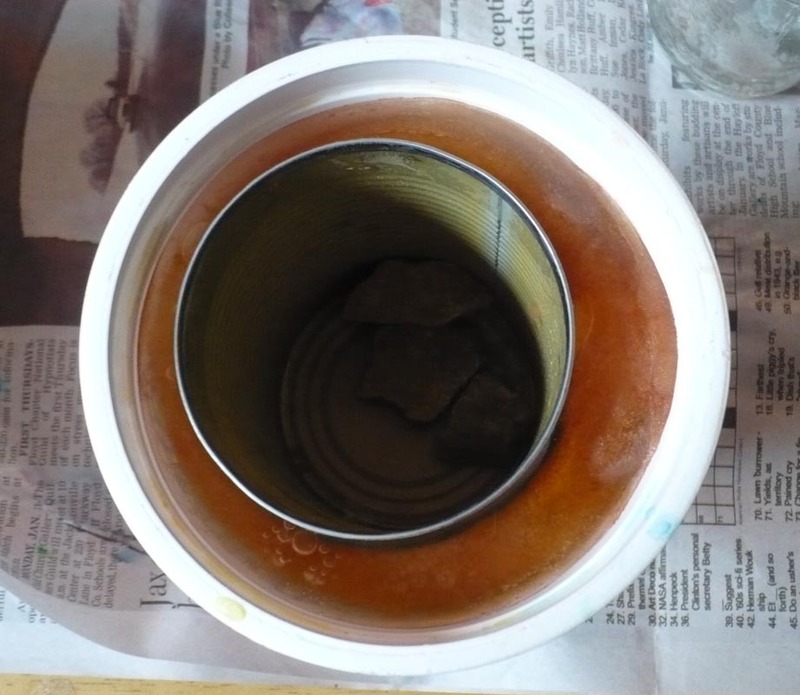 Then to remove the lantern, you can dip the plastic container in hot water, or pour hot water over the plastic. 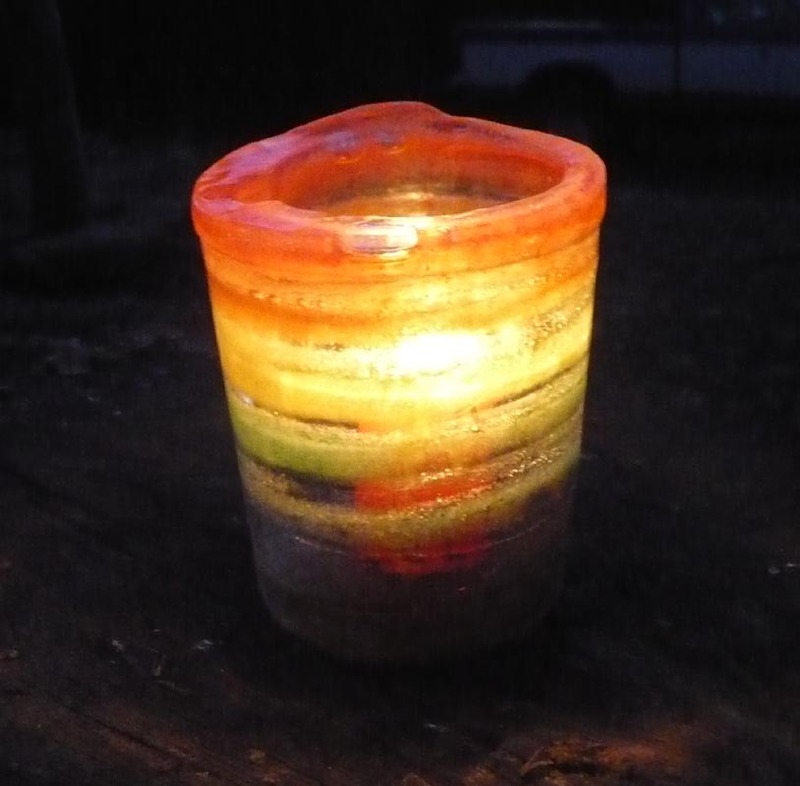 Then tip the container upside down, and gently tap the lantern out. 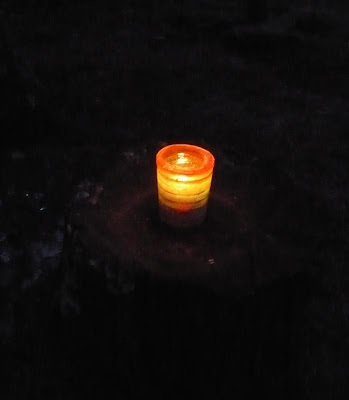 If the lantern seems a bit melty, pop it back in the freezer for a few minutes, or place it outside if it is below freezing. 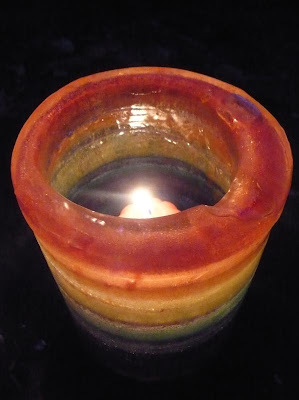 Now you place a votive candle inside your lantern and light it and enjoy! My friend Danielle over at One Green Tomato is having a giveaway! Head on over to her fabulous blog to read about Colony Collapse Disorder (CCD) in honey bees and to have a chance to win a pack of sunflower seeds. 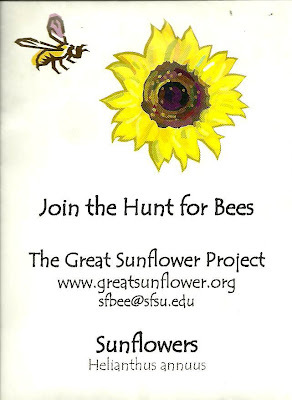 Be sure and check out The Great Sunflower Project and find out what you can do to help the bees! Hurry! The contest will end Jan 28 at midnight. 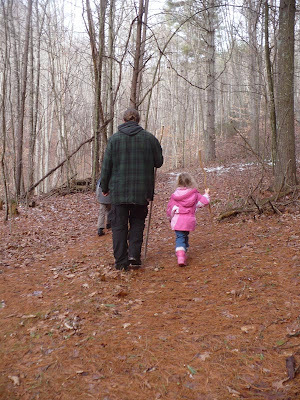 On our last hike in the woods, we came home with lots of treasures. Pocket fulls, of milkweed pods, acorn caps and pine cones of all shapes and sizes. 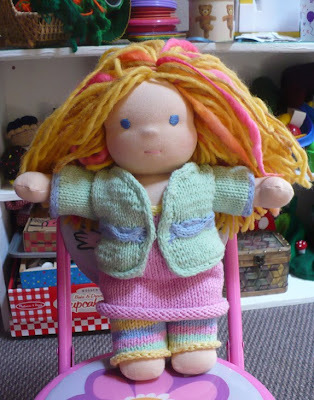 It is not at all unusual for us to bring home these types of treasures, in fact they can be found in baskets, on book selves and on display all over the house. This time i gathered them with a purpose. i have seen some amazing nature crafts on different blogs and sites all over the web. 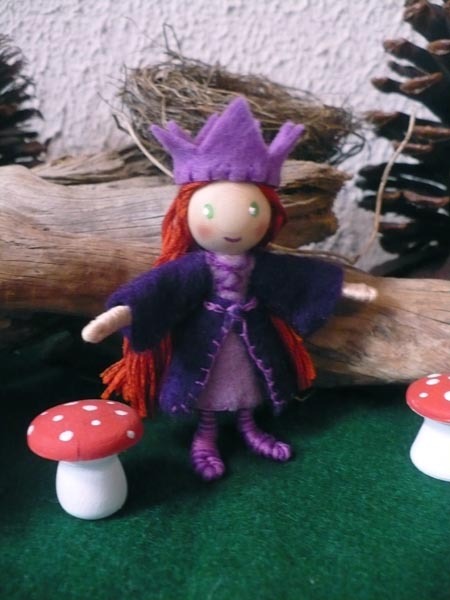 i have been feeling especially creative lately, although i haven't been wanting to make items for sale...just wanting to craft to create and to share the experiences with the kids. 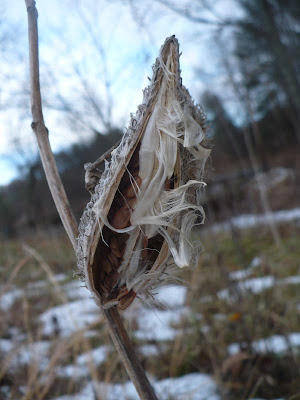 When i first started gathering the milkweed pods, it was for the precious seeds inside. We raise monarchs every year, and i would love to establish a nice patch of milkweed in our butterfly garden. 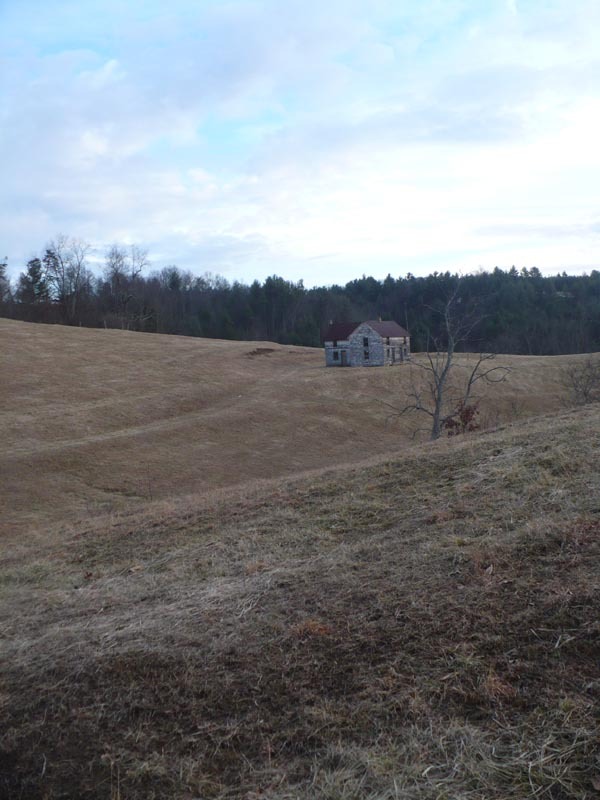 Rather than always having to hike up the road to gather it. 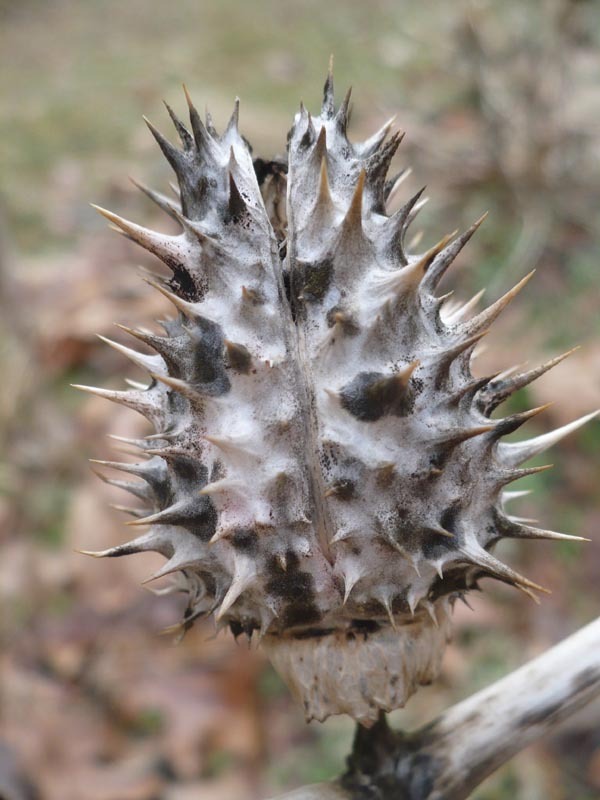 However, once i got home and laid all our treasures out on the table i began seeing those milkweed pods in a whole new light. 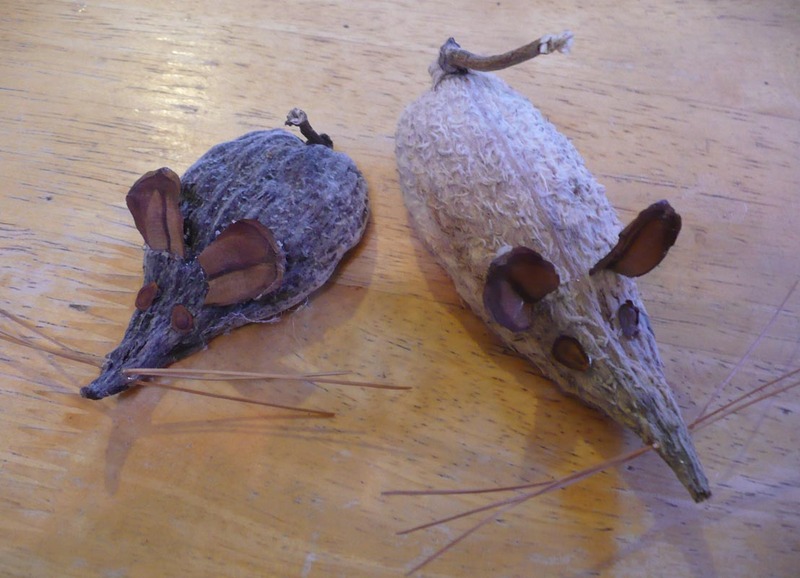 So i started looking up craft projects we could make with milkweed pods. My first project was a very simple one. Milkweed pods make excellent doll cradles. 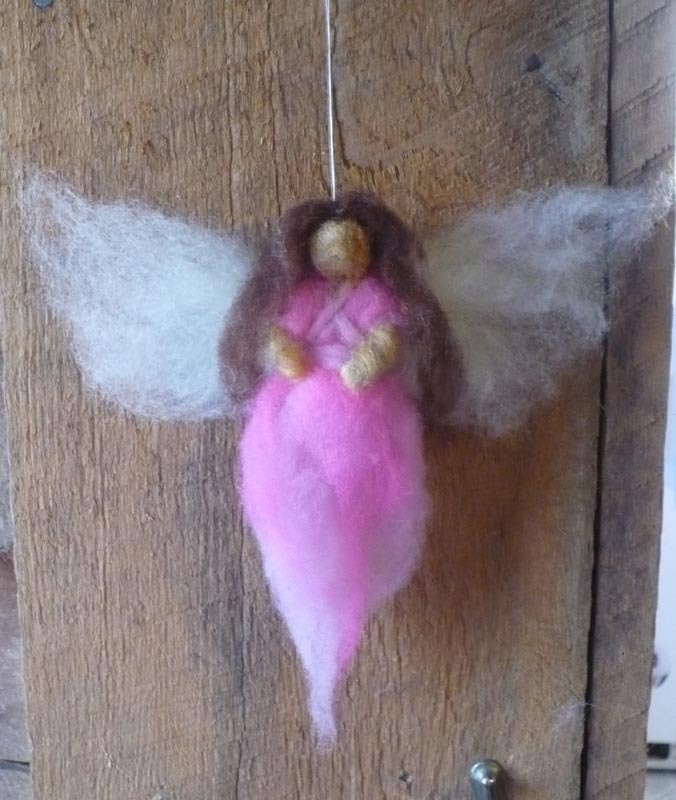 :) This little baby is made with a wooden bead for a head, a bit of pipe cleaner as it's body and it is wrapped in wool roving. It was Sage idea to glue a bit of the milkweed fluff inside the pod so it would be nice and soft for the baby. 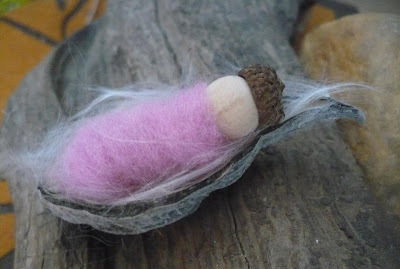 i found the inspiration for our milkweed baby at this blog. 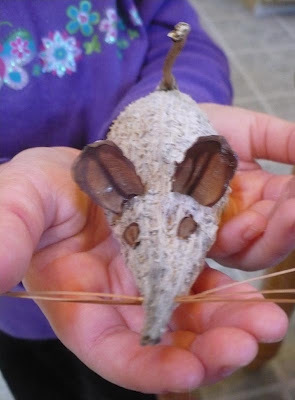 These sweet little milkweed mice are extremely easy to make. i found instructions for them here. The ears are two pine cone scales. The eyes are milkweed seeds, and the whiskers are pine needles. The tails are the stems from the milkweed. i used a bit of hot glue to put it all together. i placed the hot glue on the pod, and let my daughter glues the pieces on. i found the directions for the owl on the same site as the mice. i have actually seen these on several blogs, so i'm not quite sure who the credit actually goes too. :) They really are quite fabulous. For the owl, we used a small and medium size pine cone for the body and head. The wings are milkweed pods. 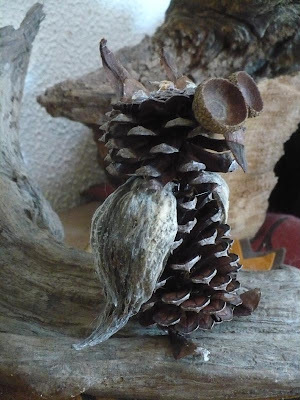 i glued the milkweed pods to the body pine cone, and then attached the head on top of them. 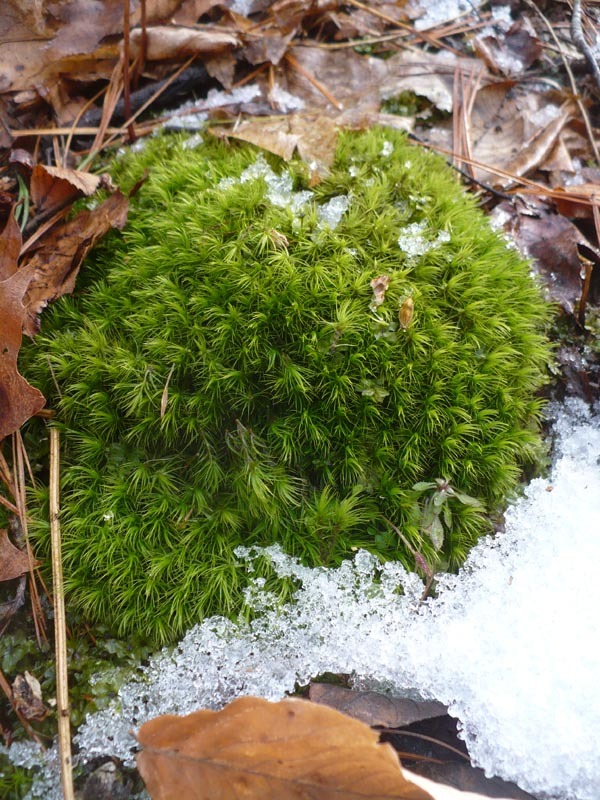 The eyes are acorn caps. 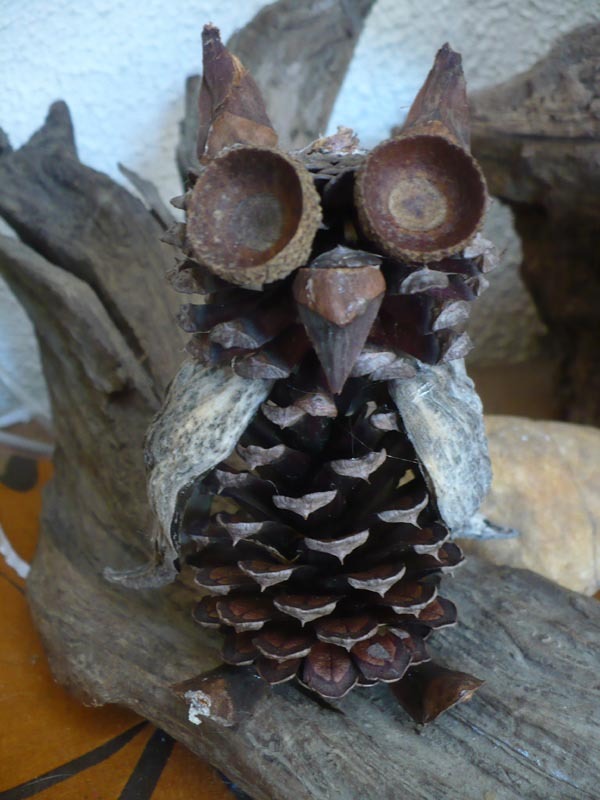 The beak, ears and feet are all pine cone scales. The beak was cut just a little to give it a nice point. i find that hot glue works the best with these, because it dries almost instantly. i have some ideas for a few of our own creations, i'll probably post this weekend. Feel free to add your Wordless Wednesday link below!